Central East-Coast groups looking for an affordable and beautiful beach getaway may want to check out the Outer Banks in North Carolina. This stretch of pristine beaches, great fishing, fantastic restaurants, and sublime natural beauty offers a great value for groups wanting to leave the hustle and bustle of metropolitan areas such as DC, Virginia Beach, and Annapolis. The drive south is short and pleasant, and the destination is very friendly to large vehicles and buses. Kitty Hawk is the birthplace of aviation and home to the Wright Brothers National Memorial. Make it a must-see stop for your group, and take advantage of the fee waiver for educational groups. If your group does not qualify for a fee waiver, then consider the tour option flat fee that is based on vehicle size instead of per-person entry. If your group is comprised of the young and adventurous, then think about booking a group kite-surfing lesson. The weather and water-current conditions are almost always beginner friendly. Many kite-surfing schools offer excellent group discounts. 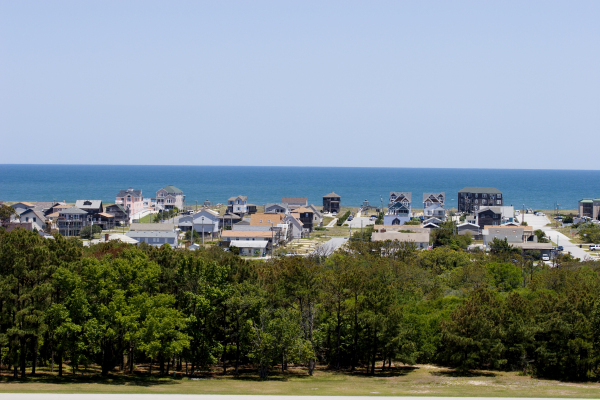 The lodging market in Nags Head, Kitty Hawk, and Kill Devil Hills is mainly comprised of vacation rentals, but we at Groople have uncovered a couple of great hotels that offer excellent deals for groups and have just the right level of comfort to allow your group to relax and enjoy wonderful beaches. Why not consider staying at the Ramada Plaza Nags Head Oceanfront? With direct access to the beach and free live entertainment every Friday and Saturday, the Ramada is a smart choice for savvy groups. Another favorite hotel for groups is Shutters on the Banks in Kill Devil Hills. Amenities such as free breakfast, free Wi-Fi, and indoor and outdoor pool make this property a super value for groups.